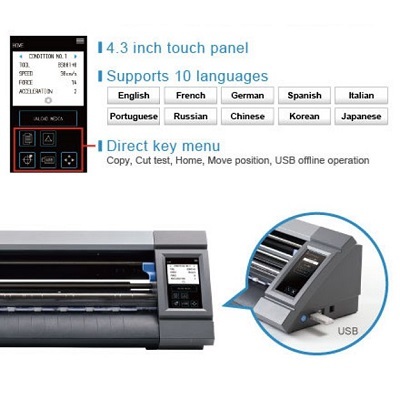 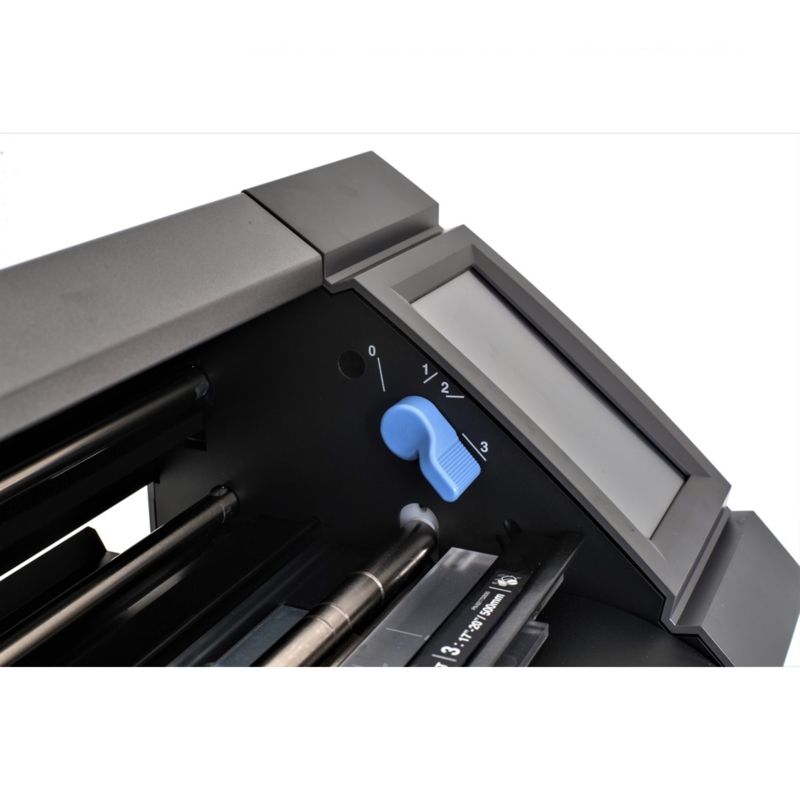 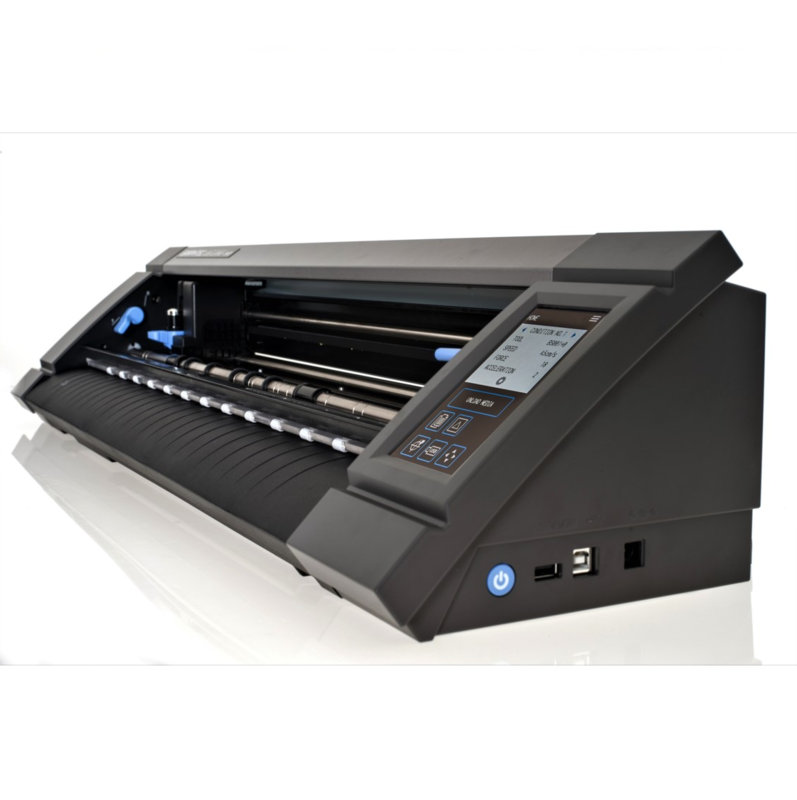 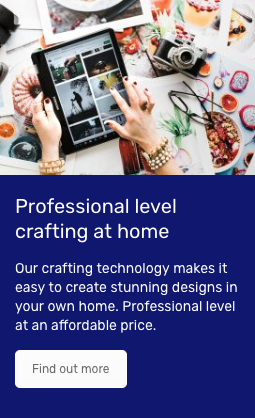 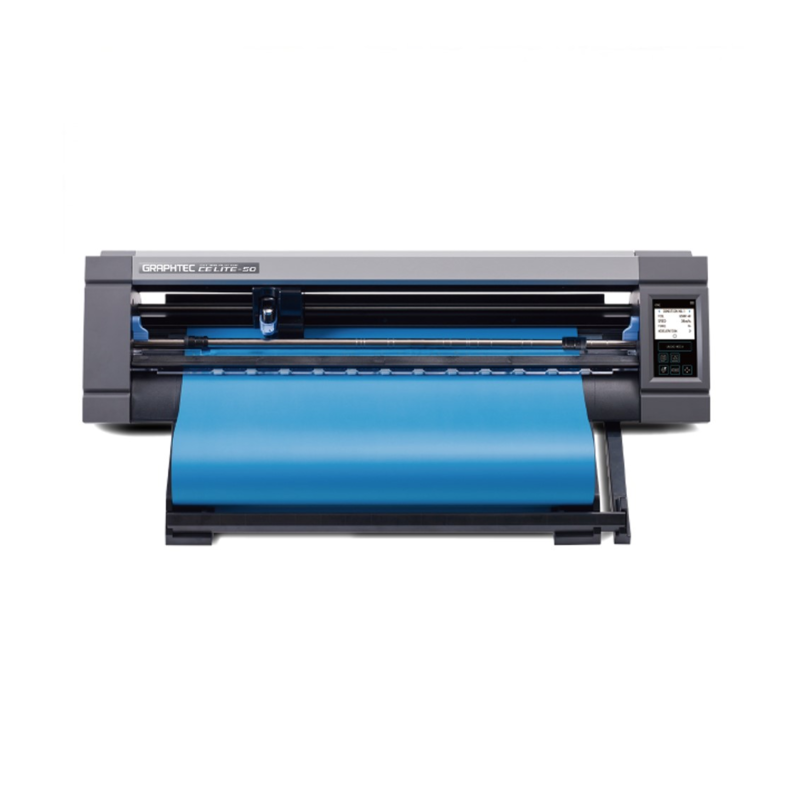 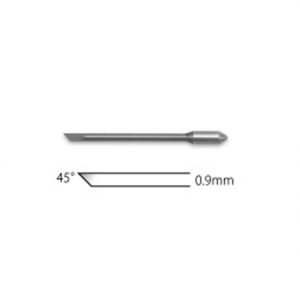 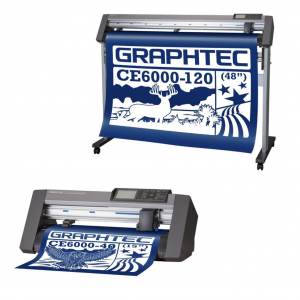 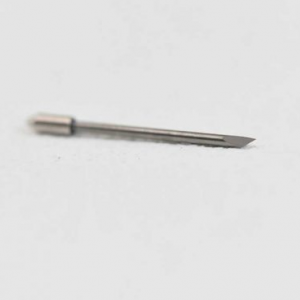 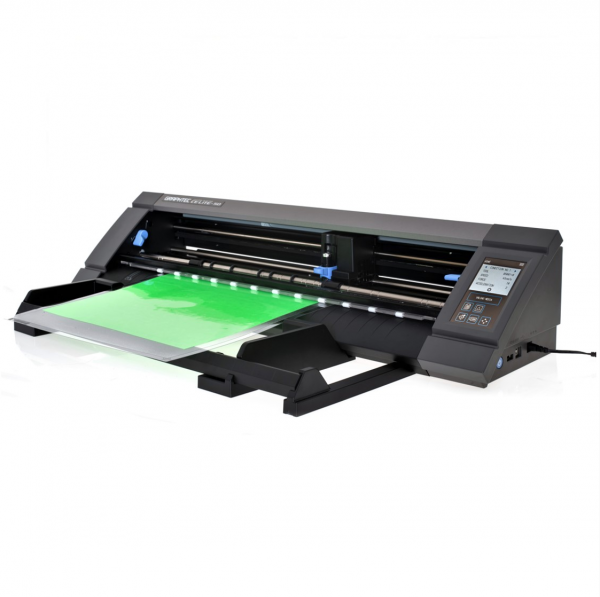 Such is the nature of the CE Lite-50 it can be used offline to cut pre-created design directly from a USB pen to allow the plotter to be used without being connected to a PC or Laptop. 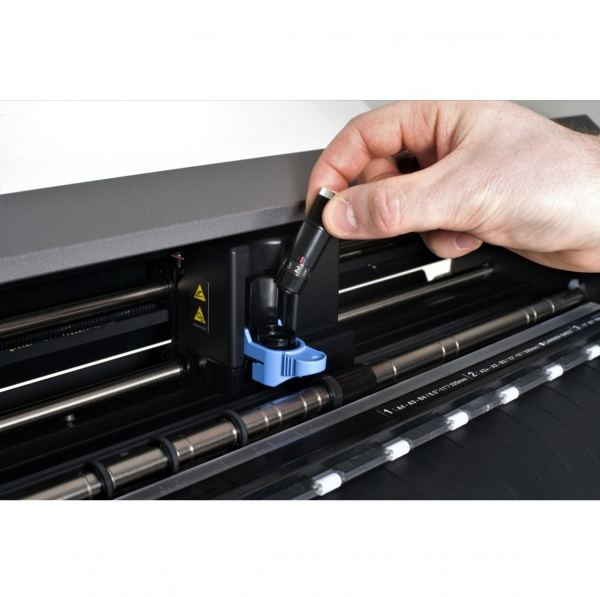 If you require the plotter to be operated and controlled permanently by a PC or Laptop there is a designated printer cable port included. 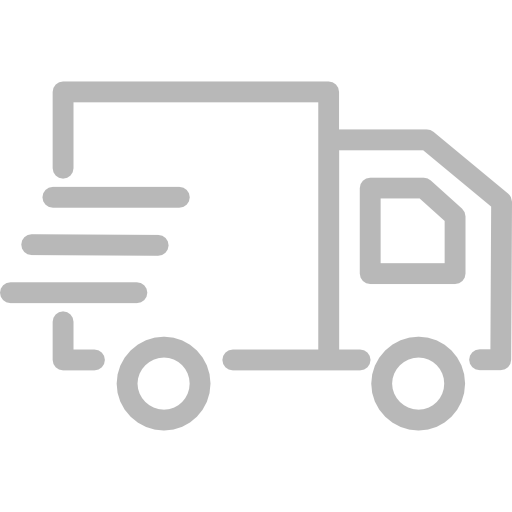 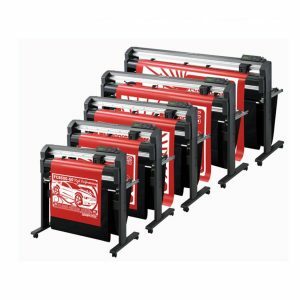 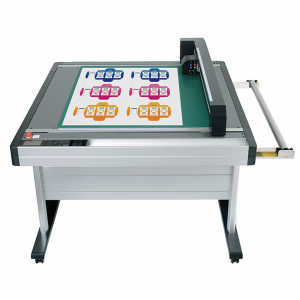 The CE Lite-50 can be used with both rolled and sheet media and has a rolled media feeder included in the price as well as a large 13″ carrier sheet (designed to be used with media such as card when being die-cut). 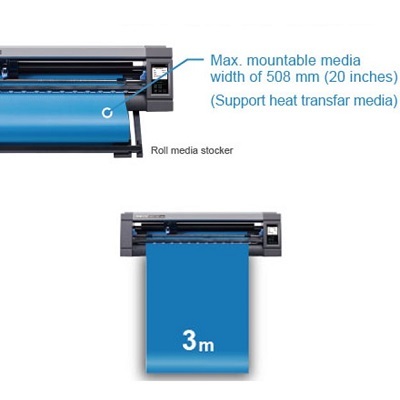 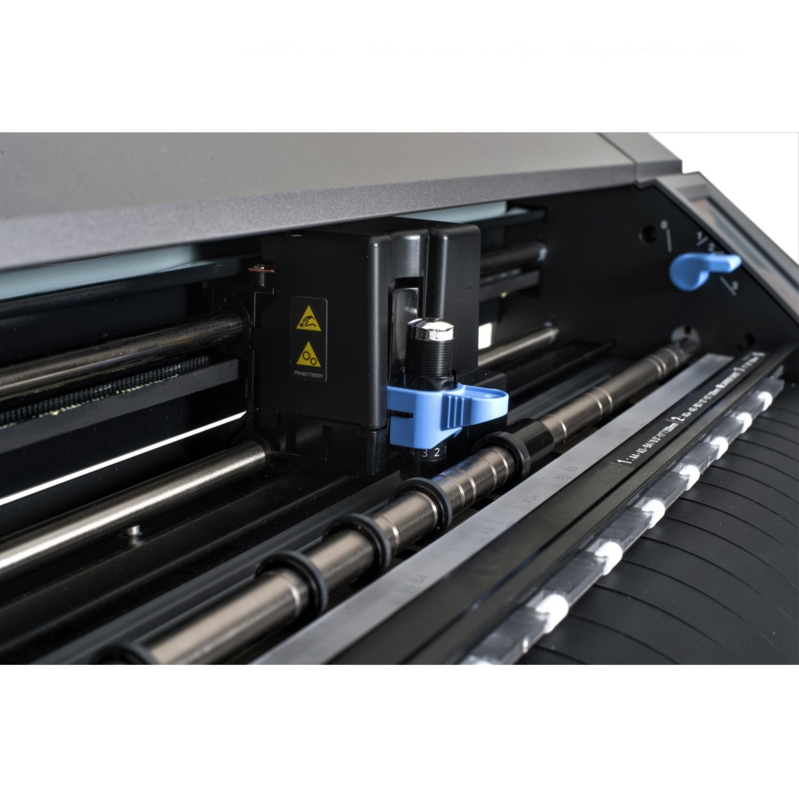 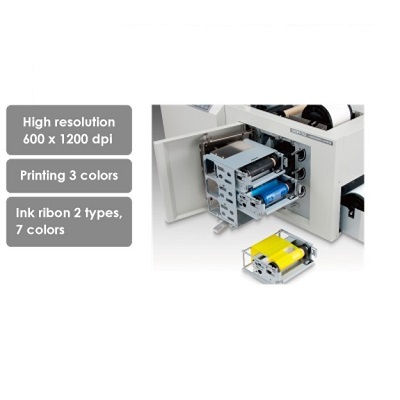 The plotter has a max mountable media width of 508mm (20″) to allow you to work with larger more cost effective medias and is perfect for adhesive-backed vinyl and heat transfer vinyls for small print shops. 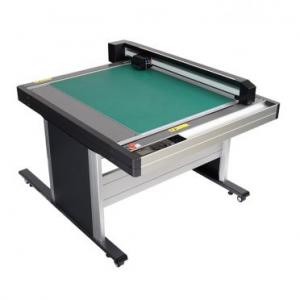 The CE Lite-50 has a guaranteed cut accuracy of 1m and can accommodate rolled media lengths of up to 3m when using the included roll feeder. 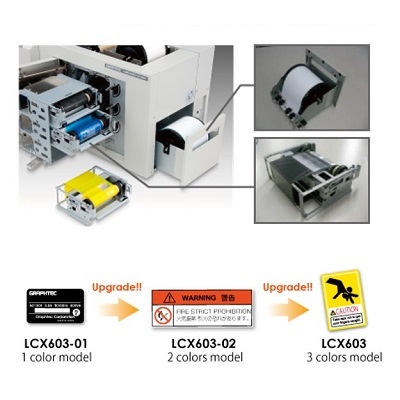 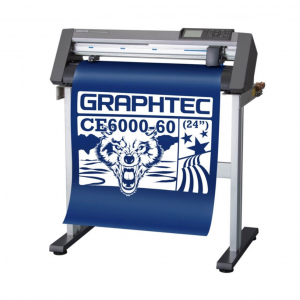 The CE Lite-50 is the perfect solution for small businesses to promote and produce print and cut jobs for small runs of bespoke stickers or labels to expand their product offering. 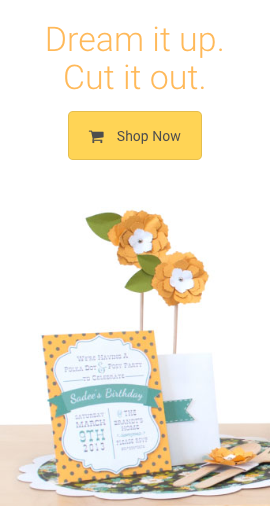 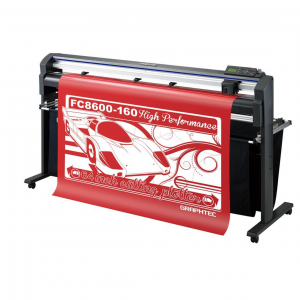 The plotter uses Graphtec’s ARMS Print & Cut capabilities to accurately cut out around pre-printed designs on media such as cardstock, adhesive-backed vinyl or printable heat transfer vinyl. 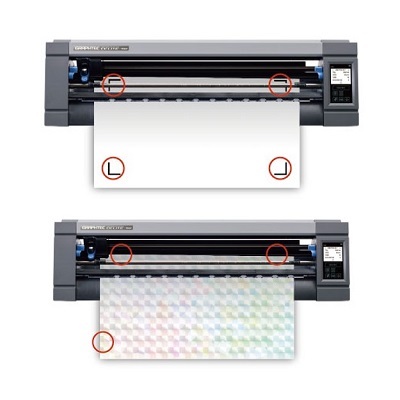 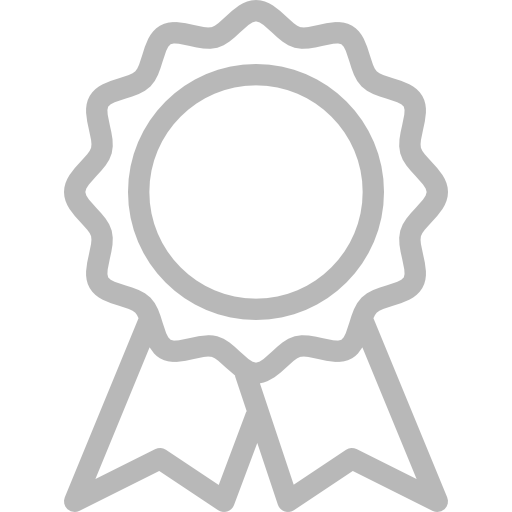 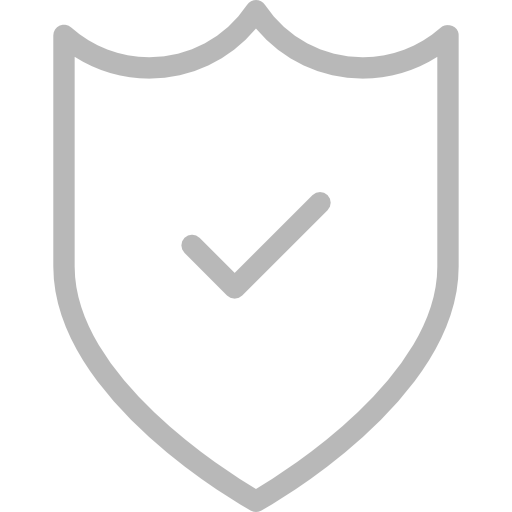 ARMS 7.0 detects the Graphtec registration marks that you have added to your design before printing to accurately align the position of the cutting line to the printed image. 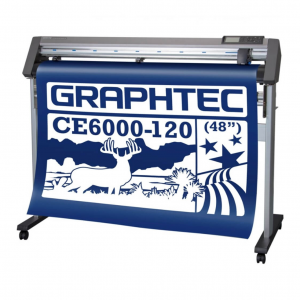 The Graphtec CE Lite-50 uses exactly the same enhanced commercial grade design software as the top of the range Flat Bed plotters and includes the Cutting Master 4 plugin to allow you to drive the plotter from softwares such as Adobe Illustrator and CorelDRAW Graphics Suite. 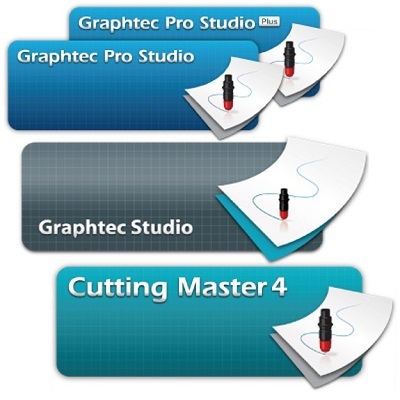 Cutting Master 4 is a plug-in software for Adobe Illustrator and CorelDRAW Graphics Suite. Send cutting data to the plotter, view cut preview, add registration marks, edit tool conditions / job settings and more. 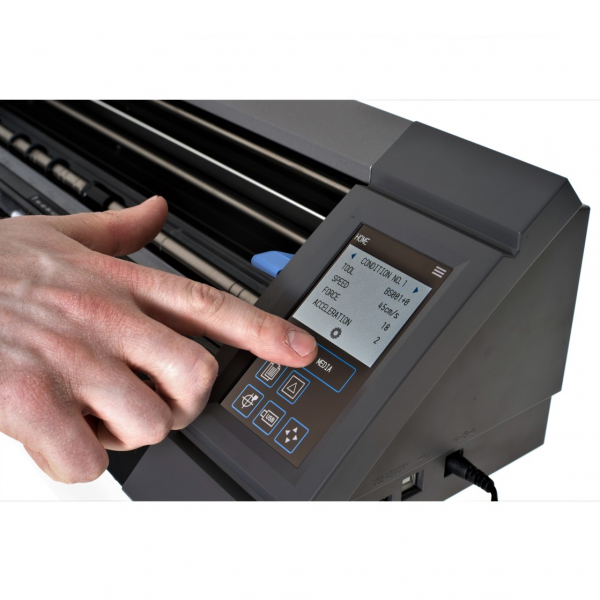 This easy to use plug-in enables you to get the best performance from your plotter.